Welcome to Mother Ivey's Bay Caravan Park, this top quality holiday park is situated near Padstow in Cornwall. The park has a calming atmosphere and a privately owned beach, a scenic cove sheltered from the prevailing wind, where families often spend most days of their long lazy holiday. Families love the security and easy access to the beach. Couples enjoy the peace and quiet. By popular demand, there are no bars, no clubs, no discos and no restaurants to interrupt the calm environment. Come and see what this glorious park has to offer, you won't be disappointed and you'll be amazed at just how affordable owning your own holiday home really is! 2013 Pre-owned Swift Bordeaux 35x12 2 bed holiday home with panel heating, double glazing, galvanised chassis, storage bin, TV aerial, outside tap, skirting and normal four tread steps (not platform steps). Licence expires 31st Dec 2022. 2016 Swift Burgundy 32x12 2 bed holiday home with panel heating, double glazing, galvanised chassis, storage bin, TV aerial, outside tap, skirting and normal four tread steps (not platform steps). Licence expires 31st December 2025. 2016 ABI Oakley 32x12 2 bed holiday home with panel heating, double glazing, galvanised chassis, storage bin, TV aerial, outside tap, skirting and four tread platform steps. Licence expires 31st Dec 2025. 2017 Atlas Debonair 36x12 2 bed holiday home with panel heating, double glazing, galvanised chassis, storage bin, TV aerial, outside tap, skirting and normal four tread steps (not platform steps). Licence expires 31st Dec 2026. 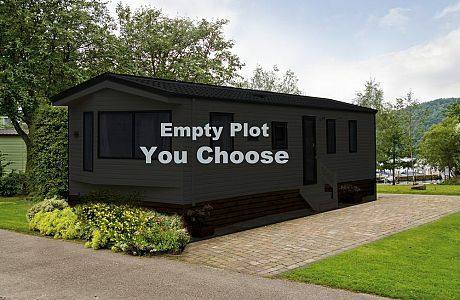 2017 Ex-hire Swift Burgundy 35x12 3 bedroom holiday home with panel heating, double glazing, galvanised chassis, storage bin, TV aerial, outside tap, skirting and normal four tread steps (not platform steps). 2015 Ex-hire Swift Burgundy 35x12 3 bedroom holiday home with panel heating, double glazing, galvanised chassis, storage bin, TV aerial, outside tap, skirting and normal four tread steps (not platform steps). Licence expires 31st Dec 2024. Vacant plot available on Mother Ivey's Bay Holiday Park. Your choice of brand new or ex-hire holiday caravan to include either panel heating or central heating, double glazing, galvanised chassis, storage bin, TV aerial, outside tap, skirting and steps (normal or platform).